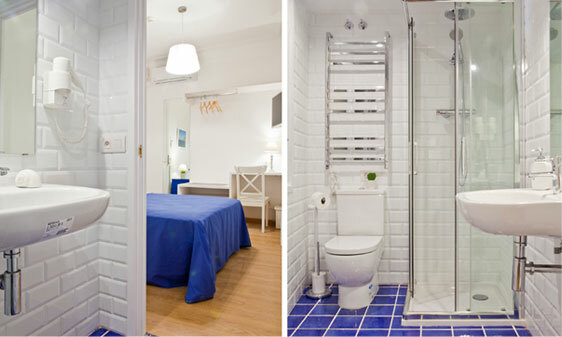 Rooms are individual (shared bathroom), doublé (shared bathroom), double deluxe (private bathroom), triple (shared bathroom), triple deluxe (private bathroom) , quadruple (shared bathroom),and a suite with 5 beds and a private bath. High-quality mattresses and pillows (Flex). Possibility of either having a double bed or two individuals in your room. Flat-screen LED TV with satellite television. If you expect o arrive outside of reception hours, let us know by sending an e-mail in advance to (hello@blueandbarcelona.com), specifying your name, date, and expected hour of arrival. Cancellations without penalty is allowed if it is done a minimum of two days in advance. 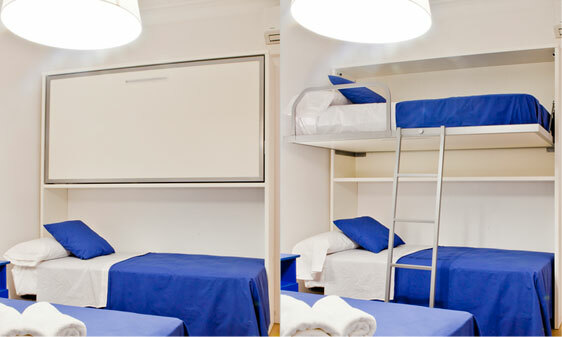 Children: all guests under 2 years of age stay free using existing beds. 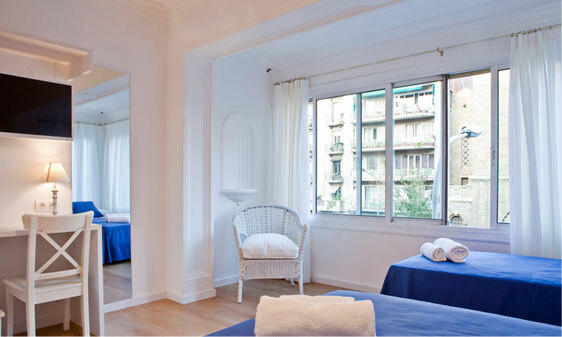 Credit/payment cards: B&B Blue Barcelona accepts these cards and reserves the right to preauthorize your card before check-in: VISA, MASTERCARD, AMERICAN EXPRESS, JCB. Vía Augusta 65, 1º 1ª, 08006, Barcelona, España.